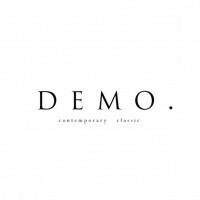 DEMO. is a Hong Kong based independent designer brand founded in 2013 by Derek Chan. Derek discovered his profound passion for contemporary classic menswear during his undergraduate studies while studying fashion and textile design. Following his dream, he started up his own brand after obtaining his Bachelor degree in the Hong Kong Polytechnic University and premiered fashion show since graduating. DEMO.’s men are introspective but visibly eager to uncover the mysteries of the unknown residing outside themselves. They express their ambiance and personality through their own exploration of lifestyle and fashion. DEMO. 's men carry about them an air of softness and nonchalance but are, at the same time, deeply intrigued by life's mystery and want desperately to find answers to its many questions. DEMO. 's design focuses on simple cuts and subtle but experimental details which aim to reflect one's personality to the fullest. DEMO. believes that lifestyle and fashion are principal and unique components one's self expression and keystones in sharing one's own personalized mood and quality of life. Driven by a philosophy to achieve the best for all individuals by breaking down the walls between classic and contemporary, we welcome partnerships and collaborations in and across various forms of media. We are willing to collaborate with any and all parties who possess similar ambitions and encourage those who are willing to adopt this vision in their own field.